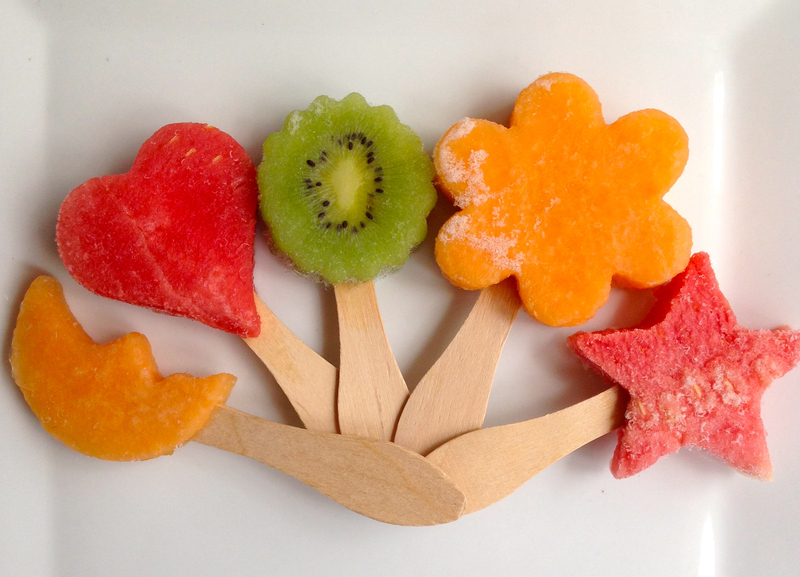 These popsicles are quick, easy and are a great way to get kids to try some fruit they won’t normally go anywhere near! (this is the only way my 17 month old will even touch rockmelon). Not to mention they’re a great activity to do with the kids. Let’s face it, craft you can eat at the end is always a winner. You’ll need some cookie cutters, fresh fruit and popsicle sticks. 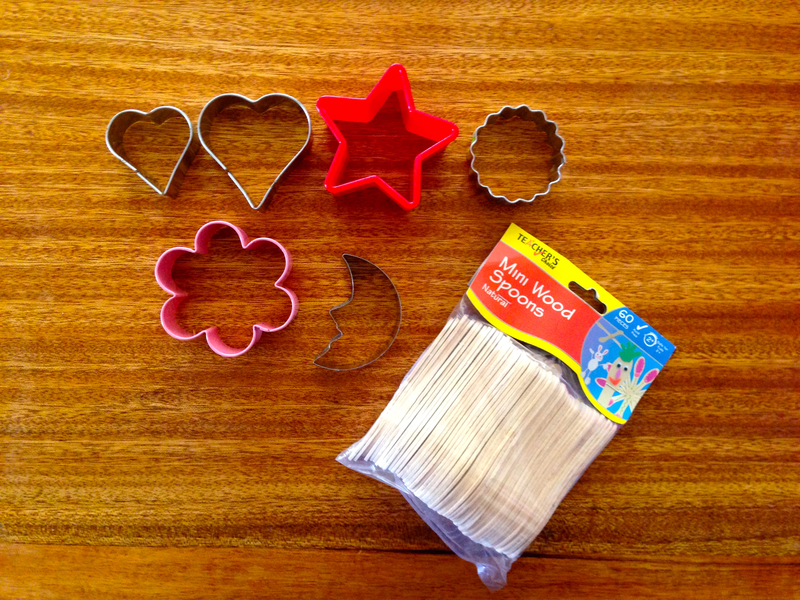 Normal cookie cutters can be a bit sharp for little ones. Luckily I found some great plastic star shaped ones with blunt edges in the back of our kitchen cupboard, which were perfect for Imi’s tiny hands to do some mean fruit mashing. For the fruit I used rockmelon, watermelon, papaya and kiwi but you could do this with anything. Forgo the cookie cutters and stick the popsicle sticks in fresh strawberries, orange slices or banana halves. As long as it’s ripe and yummy it’ll work. Did I mention these were great for teething? Cut off the rind/skin of your chosen fruit and and slice into approximately 1.5cm slices. Cut out desired shapes with cookie cutters. line a container big enough to fit all the popsicles in with baking paper. Put a sheet of baking paper in between each layer to stop the popsicles from sticking together. Cover with lid or plastic wrap and freeze for at least an hour.